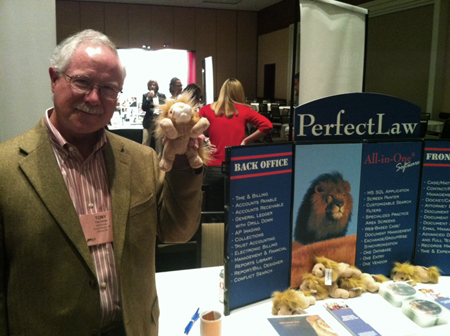 Home » News & Information » Press Releases » PerfectLaw Attends the ALA Region 2 Conference in Charlotte, NC! 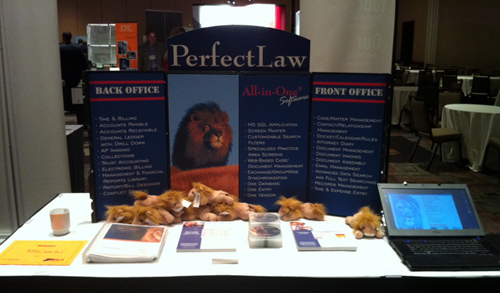 PerfectLaw Attends the ALA Region 2 Conference in Charlotte, NC! 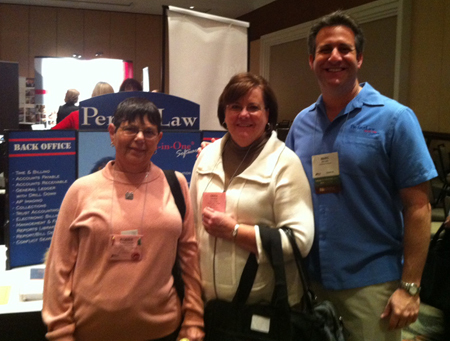 November 2011 - Marc attended the 2011 ALA Region 2 Conference in Charlotte North Carolina on November 4th. Not only did he get to meet some of our existing clients and potential future ones, he also had a chance to demonstrate some of our exciting new products and features! Thanks for taking the time to stop by our booth and pose for a photo to share. It was great seeing you again!